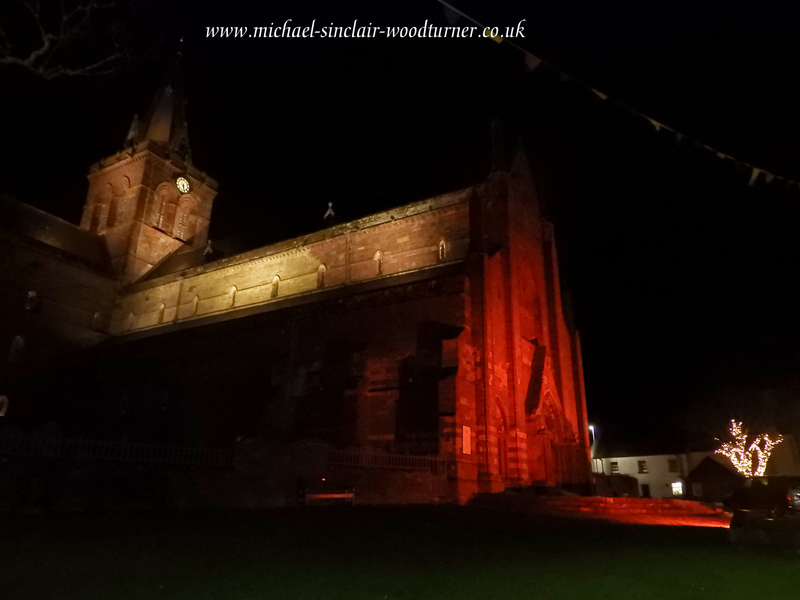 The St Magnus cathedral in Kirkwall was lit red for remembrance, up till remembrance Sunday, and it looked spectacular. Didn’t get a good photo from the front unfortunately, as a van was parked in front of one of the lights and it’s shadow was projected onto the building, such a shame, but the cathedral looks great from any angle. 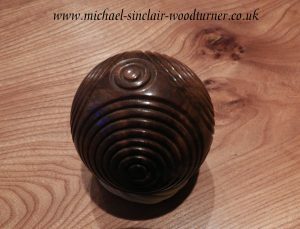 Michael made me a ‘petrosphere’ from a jack ball we had, I love it and take it everywhere. While away I had breakfast of pancakes, bacon and maple syrup, twice, The Inn at Kippen & The Tormaukin Hotel, both times with very fluffy pancakes, so Mr. Orkwoodturner got on the case and made them on Sunday, fantastic. 😋. 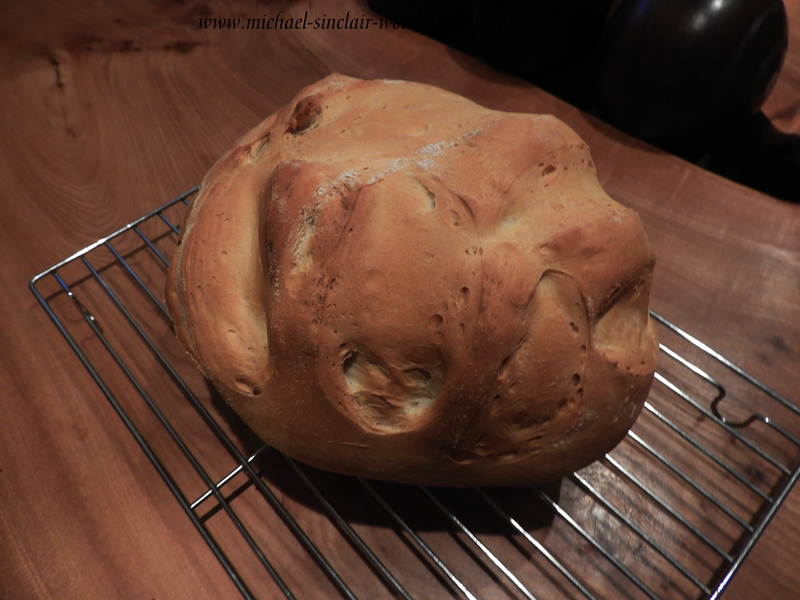 I made a loaf for him as he loves homemade bread. 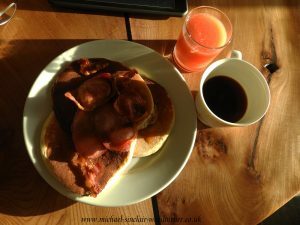 Two other exciting events. 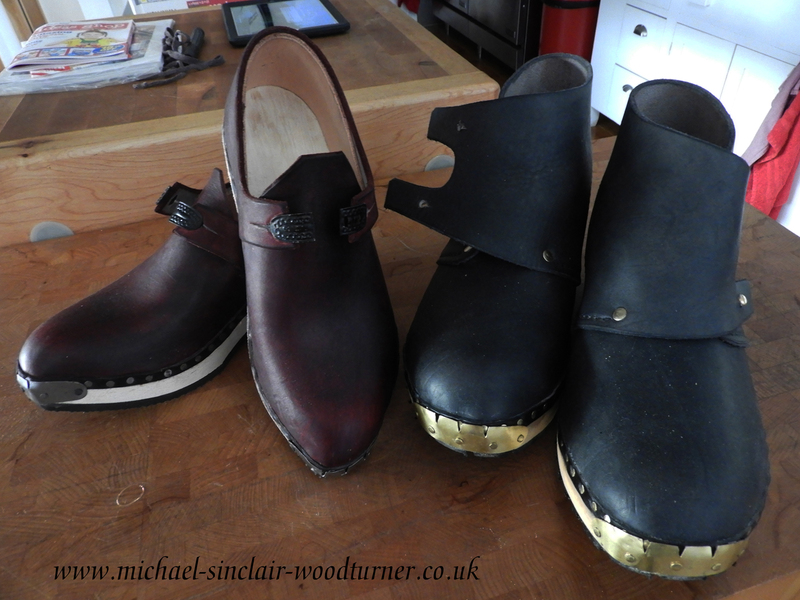 Our Nephew Owen and his lovely girlfriend Becca got engaged, (congratulations guys) and our traditional, handmade clogs came home. We ordered them about a year ago, well worth the wait. Christmas is closing in fast. 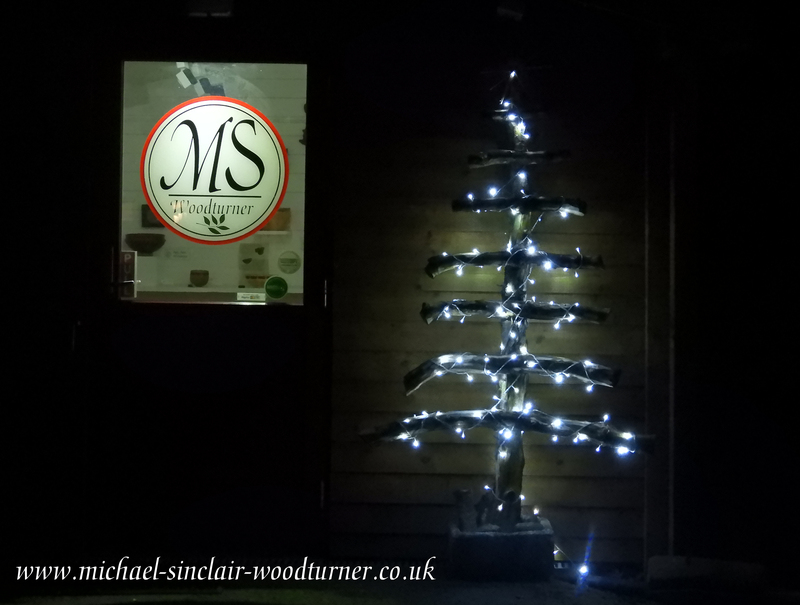 Mr.Orkwoodturner made me a tree from logs which I decorated with lights to brighten up the front of the gallery. 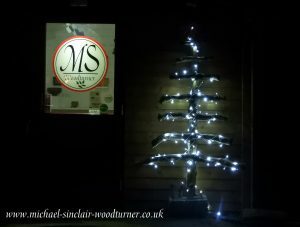 I decorated inside and we opened late on Thursday with wine and shortbread. Yesterday was preview night for the Pier Arts Centre Christmas exhibition. Lots of people turned out despite it being a horrible night. 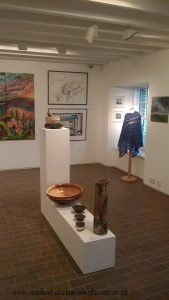 It is a big exhibition and there are some fantastic pieces, there is no shortage of talent in Orkney. If you get a chance to go along it is well worth a look. For those away from Orkney have a look on line I’m sure they will be posting plenty of pictures.